Fusing fantasy, horror, gothic romance, and the supernatural, the stories of Minnesota-based Kelly Barnhill host a menagerie of undead magicians, poetic corpses, haunted witches, and evasive female pirates. These stories are not set in our modern time, and yet their landscapes feel strangely familiar, as if recalling and revamping fairy tales whispered to us long ago. 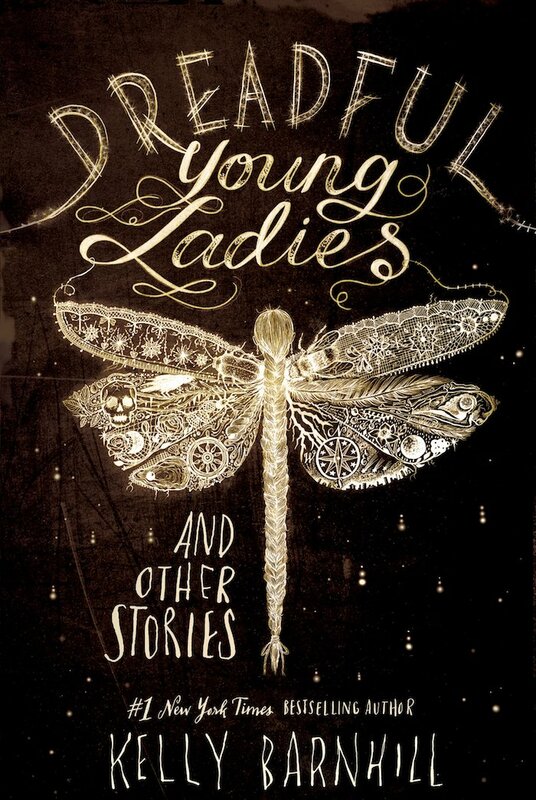 The stories collected in Barnhill’s newest book, Dreadful Young Ladies and Other Stories, are at their best when the heartbreakingly bizarre is juxtaposed against quaint, domestic charm. The name Kelly Barnhill may ring a bell due to her success in the children’s literature community last year. Her tenderly magical novel, The Girl Who Drank the Moon, won the 2017 Newbery Medal, and tells the story of a girl who is accidentally given magical powers as a baby and must wrangle her gift before others try to destroy her. 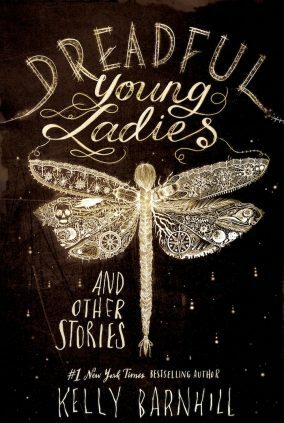 Dreadful Young Ladies and Other Stories, published by Algonquin Books in February 2018 as a short story collection for “adult readers,” will surely appeal to young adult readers, too, or anyone who enjoys good old fantasy and magic in the same vein as Kelly Link and Neil Gaiman. In the story, “Mrs. Sorensen and the Sasquatch,” the widow Mrs. Sorensen becomes the talk of the town when she shows up to church with an unexpected date, a Sasquatch. It is obscene, it is a scandal, and yet, Mrs. Sorensen has never looked happier in her life. You, the reader, are instantly pulled into the incredulous scene as an observer and you may even begin to doubt what you are reading! In fact, when I looked into her window the other day, I saw her around the dinner table with two dogs, one raccoon, one porcupine, one lynx, and one black bear? The priest will have a ball about that, won’t he? A bear drinking wine out of a goblet! How absurd! Against the well-observed small town unraveling into gossip is set the depiction of a woman on the hunt for companionship and sexual pleasure. Despite its fantastical exaggerations, the aging woman’s desires and fears give weight and pathos to an otherwise quirky tale. Similarly, “The Dead Boy’s Last Poem,” the story of a girl, who obsesses to the point of starvation over poems bequeathed to her by a dead boy poet, is also a tender portrait of grief, passion and social-rule-bending. The material is often morbid but the writing is always elegant, witty, and laced with sharp philosophical observations and sometimes startling descriptions. In “Dreadful Young Ladies,” a child riding down a slide grips the burlap sack beneath him “the way a skydiver hangs onto his defective parachute before his final bounce upon a pitiless ground.” In “Elegy for Gabrielle—Patron Saint of Healers, Whores, and Righteous Thieves,” the narrator, Gabrielle’s father, preaches truths: “To be human is to lie, after all. Our minds tell lies to our hearts and our hearts tell lies to our souls.” Confrontations with the lies we tell ourselves and the consequential results of our decisions are at the heart of many of the stories, and Barnhill has an acute eye and ear for the pleasures, pains, and confusions of being human, even in the most magical of settings. So goes the modern fairy tale, told in alternating chapters of a dystopian present day and a long- forgotten past of freedom and dreams. Through the unique characters’ heroism, heartbreak, and wit, Barnhill poetically reveals humanity’s hunger for language, for connection, for visibility, and for love. In her acknowledgments, Barnhill says she finds it a miracle “that in this frenetic and bombastic and self-centered age, [there are] legions of people who can and do return to the quietness of the page.” Yet, she makes it so easy for readers to tumble headfirst into her stories, because she writes of worlds so unlike our own. There are no cell phones, traffic jams, or social media to distract her characters from living, from dying, from navigating the turbulent trials and tributaries of the places they call home. Perhaps it is this lack of distraction which enhances the magic Barnhill conjures within—the magic that happens when you are pulled into the present fully; when you are beckoned through portals and trapdoors; and flung to the far-reaching quietude of a hushed forest. Dreadful Young Ladies is where Barnhill’s stories wait to be discovered by you. VCFA’s Hunger Mountain gives a special thanks to our local branch of Bear Pond Books for providing our book reviewing staff members with Advance Reader Copies of Pre-Released titles! 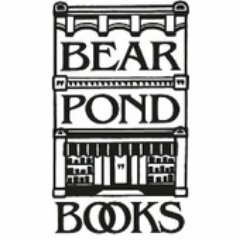 Montpelier’s local branch of Bear Pond Books is located on 77 Main St, Montpelier, VT 05602. Bear Pond Books’ selection is also available online: http://www.bearpondbooks.com/.